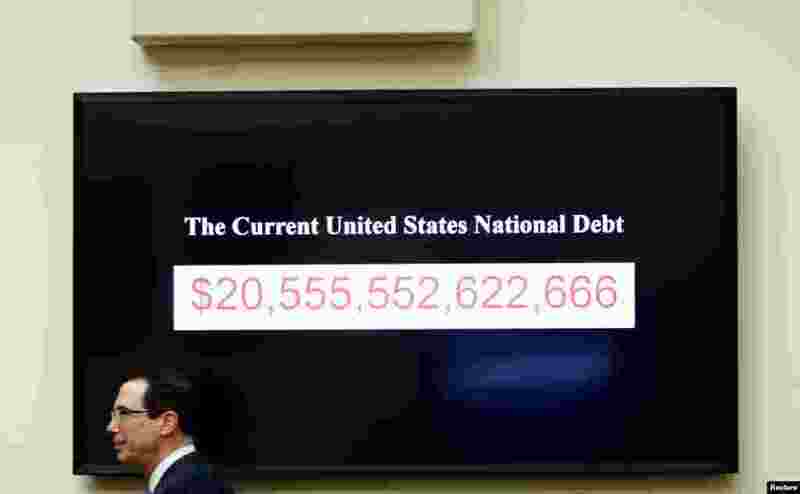 1 Treasury Secretary Steven Mnuchin walks past a display of the U.S. national debt as he testifies to the House Financial Services Committee on "The Annual Report of the Financial Stability Oversight Council," on Capitol Hill in Washington. 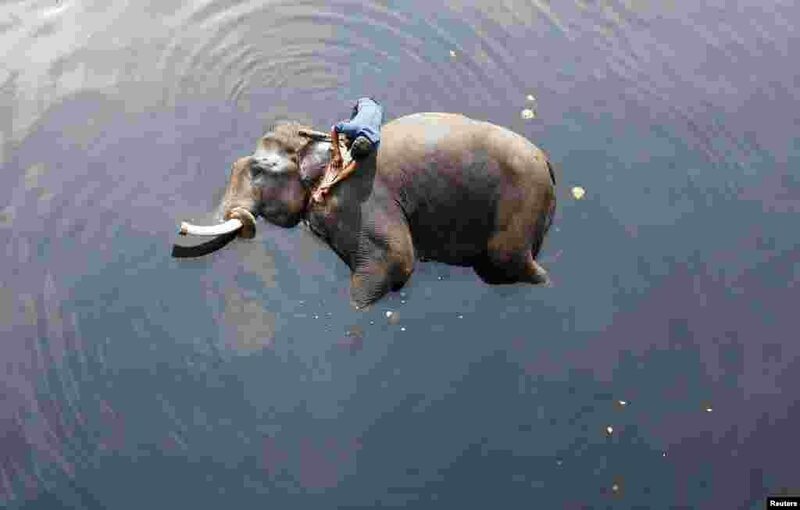 2 A mahout bathes his elephant in the polluted water of river Yamuna in New Delhi, India. 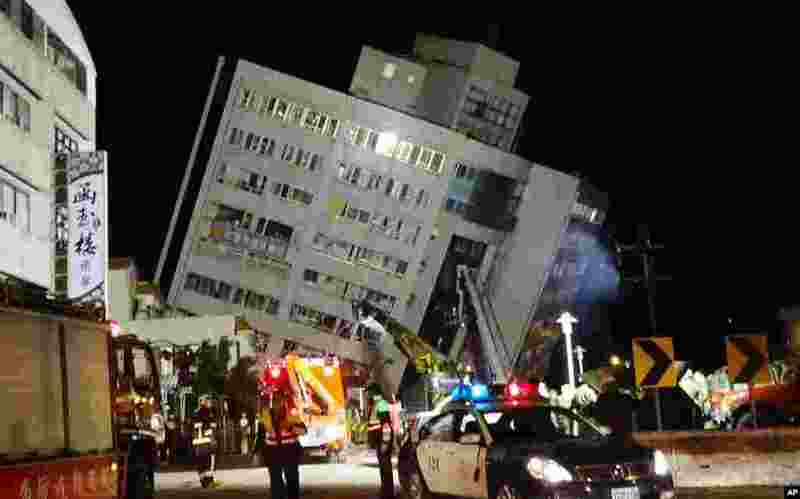 3 Rescuers are seen entering a building that collapsed onto its side from an early morning 6.4 magnitude earthquake in Hualien County, eastern Taiwan. 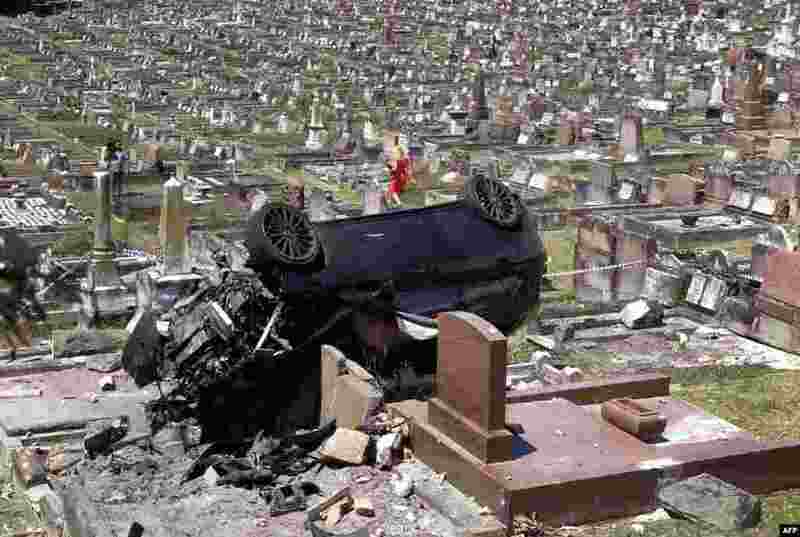 4 A Mercedes SUV lies on the gravestones at a cemetery in the Sydney suburb of South Coogee, Australia. The early morning crash caused significant damage after the driver failed to take a corner, crashing through a wall before landing on the gravestones. Police said the driver failed a roadside alcohol breath test before going to hospital.